Be it from a lack of funding or a limited team, there are some restrictions that keep businesses from believing they can create a vast amount of readable, click-worthy, and share-worthy content. Smart content marketers know there are tools available to help businesses get around such an obstacle and that the secrets to success are efficiency and automation. 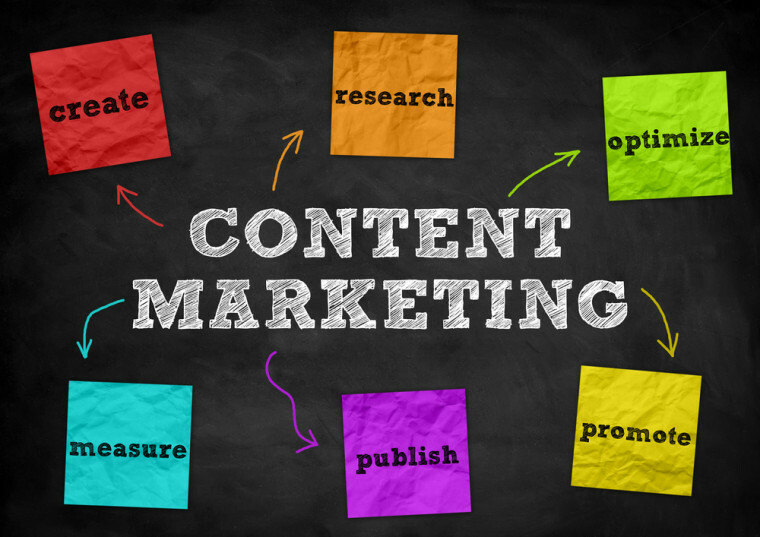 Content is a powerful tool in any business’s marketing strategy. It conveys many things to current customers as well as prospective clients; the most ideal of which revolves around the idea that your business would be an intelligent and valuable addition to their lives. It is important, then, to not let a lack of resources prevent your business from creating the content needed to get their attention. 90% of top content marketers utilize tools that assist with automating the content creation and dissemination processes, and it has made a world of difference for them. 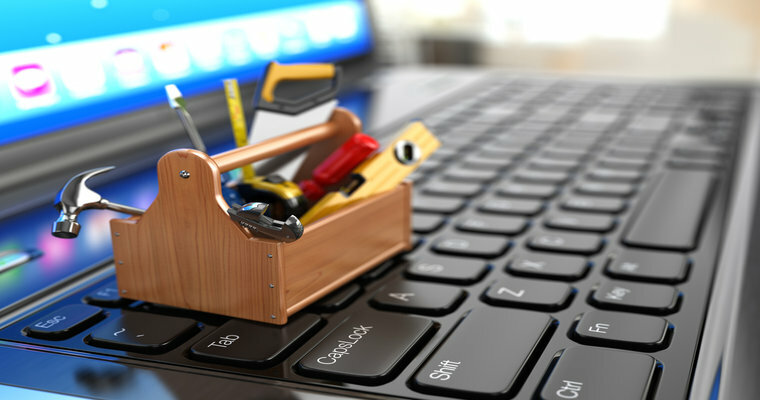 If you’re not looking to sacrifice the quality or quantity of your content, but still want to maintain efficiency in your business and a continual inventory of content for your brand, look to these free, or affordable, online tools for upping your marketing game. Before tackling the idea of how to properly market your content, something worth sharing needs to be created first. With 42% of B2B and 48% of B2C marketers publishing new content at least a few times a week, you need to have a team that will help you produce these mass amounts of regular content or a number of tools in place to replicate those sorts of efforts if the number of team members is lacking. Luckily, there is no shortage of tools online that can help businesses establish a process by which they can create a lot of content– of high quality and with consistent messaging – in a short amount of time. While it may seem easy enough to come up with an idea for a blog, infographic, or white paper, is your team able to do this for multiple publish dates each week? A recent report by Kapost found that 99% of marketers want a consistent method for generating fresh and new ideas for their content; however, only 51% believe they are able to come up with enough original ideas on their own. With the need to keep up with the competition and to post share-worthy content on a regular basis, a tool like Google Trends comes in handy. The main page and highest trending (general) topics may not seem all that helpful if you aren’t in the business of entertainment, politics, or sports. However, there are some businesses who have been able to take advantage of what is known as “trendjacking.” This is when you find inspiration from a current trend or top headline and then spin it to work for your particular business or industry. If trendjacking isn’t your thing, or you’re not able to derive anything from the latest headlines, Google Trends also works well in showcasing what type of content is currently working well: videos, top 10 lists, holiday, or event-related topics, etc. Buffer is another tool that can help marketers find inspiration for topics. While primarily known for helping to schedule social media postings (much like Hootsuite, mentioned below), Buffer also gives marketers the ability to easily search through recently published content on the web. Similar to Google Trends, there is a lot that can be learned just by perusing lists of content that other companies are publishing. With Buffer, you can do more than just search top trends. You can search by keywords and by source. So if you want to see what your competition is publishing or want to know what sort of topics are trending in your industry or around your services, this is the tool to help you do just that. Buffer also makes the process of finding this content easy with an RSS feed importer. You select the feeds you want to follow, monitor them on a regular basis, and then draw inspiration from them for your own purposes. If you’re still stumped for blog ideas – even after you discovered what’s trending – then you definitely have to give this easy-to-use tool a spin. Simply add a noun, and the Content Ideator, will generate hundreds of options for possible blog post ideas. After selecting the topics that interest you the most, you can simply add them to a saved ideas list with just one-click and copy them onto a Word document. Content creation can get expensive, especially when you’re paying multiple people to first write the content and then to review it. Using a good spellchecker tool can be helpful, but that will never replace an editor or proofreader. Both Grammarly and Correctica take the concept of spell checking and take it a step further. With an algorithm developed by linguists, Grammarly is an online tool that gives anyone the ability to clean up their copy—on email, social media, websites, basically anywhere you want to write online. The Grammarly tool can catch over 250 types of mistakes (including spelling errors) and is a great tool to equip your team with. With Correctica, you send either your website or document through the system and they deliver a revised copy. Similar to a spellchecker, this isn’t the end-all, be-all of copy checks, but these platforms can help cut down on the amount of time (and cost) generally associated with editing copy. Give these tools to your QA team and give them a head start on cleaning up your messaging before tackling more strategic edits. A lot of time and energy goes into strategizing topics and creating content, and some marketers tend to lose sight of what draws people in the first place. You could have the most interesting blog about why you should iron jeans, but you might be hard-pressed to find readers if the title is lacking. 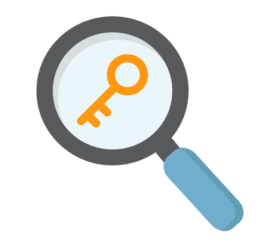 The Headline Analyzer tool does just that—it analyzes the quality of your content headlines. If you’re serious about creating quality content and not just mass-producing copy in order to add more pages to your website, this tool is a must. With information on the quality of words used, suggestions on the types of words to use, and the overall predicted success score, this tool gives you quick insight into whether or not your content will get read in the first place. If you’re working with a team on a project, then Trello is an absolute necessity. You can use it to visually manage a content marketing strategy by creating boards for team members. These boards contain cards where you can upload files, have discussions, create checklists, and set due dates so that the entire team can see where a project is with just a glance. In a way, think of Trello like attaching sticky notes to a cork board. With Trello, you can create editorial calendars so that you can simplify the editorial process. Additionally, whenever something happens, team members will be notified via email. There’s also iOS and Android apps so you can work wherever you are. Copy creation is just the start of building up your arsenal of content. Great copy can really speak to an audience, but pairing that with eye-catching visuals can take it to the next level. In this day and age, it really isn’t just about having a well-crafted article or blog anymore, everything really does need a visual element, and this can be difficult to manage without a team of design experts behind you. There are many tools that give marketers the ability to make design pieces quickly and without the cost of a formal design program (like Illustrator or Photoshop). Canva is one of those such tools, providing customizable templates for all your major marketing needs, including social media banners, PowerPoint slides, infographics, blog post banners, and more. As a best practice, every piece of content you create should be reviewed by someone else. Unlike with copy edits that can easily be tracked and updated, design can get tricky, especially when you have a non-designer trying to communicate their feedback to a designer. The best way to do this is through visuals and markups. If your QA team is not equipped with the full version of Adobe Acrobat or you just want something that allows you to annotate an image, Nimbus and Skitch can help. These are both screenshot tools that capture different parts of your browser window or documents (based on which piece of the content you want to mark up). 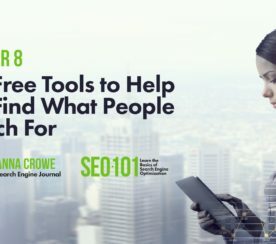 Tools like these give you the assurance that you’re communicating changes clearly and easily–through drawings and annotations–that need to be implemented to your designed content. Once you’ve got the great-looking visuals designed, optimization is the next step. You need to have the ability to resize too-large or too-small images since there really isn’t a one-size-fits-all rule for the platforms on which you’ll be sharing the content. If there isn’t a designer in-house or on-hand to help with this or you’ve created the content on your own, Kraken gives you the ability to resize your images. Check the recommended size specifications for the platform you’ll be posting the content to, and use those to optimally size your images for the best viewing experience. Social media is the third piece of a marketer’s content creation arsenal and it may be the most important. Without it, you’re relying on your website and search engine results to disseminate your content. Social media gives marketers a quick, easy, and direct way to get in touch with their audience. One of the things to remember is it’s not all about sharing your own content. The content you share needs to be something your audience can relate to, whether it’s your own or that of others. That doesn’t mean you should be sharing your competitors’ content and helping them take your sales, but it does mean you should be open enough to giving credit to other thought leaders on social media in order to bolster your own reputation. Much like buffer, Feedly has an RSS feed import feature that allows you to link up your favorite RSS feeds. When you find a piece of content you like, you can open it in a new browser window or save it for later. For content that doesn’t strike your interest or that you can’t use, hide it. Either way, you’ve got an easy interface that allows you to get a quick glimpse of what’s going on with your preferred topics and sources and stay up-to-date with what’s happening online now, rather than relying on Google search results that may be outdated. Paper.li is branded as a content curation tool (much like Feedly or Buffer), but that’s not exactly what it is. What it does is import posts, content, and links from social media, RSS feeds, and other sources you follow online. It gathers them into a “newspaper” of sorts and publishes it to your branded Paper.li page. It is then up to you to schedule and/or promote your page so your followers (and prospective clients) can see what you’re interested in. This provides marketers with another easy route for collecting content online that can then be shared and, consequently, clout borrowed from. Establishing your brand as one with good taste and shared interests with your target audience can go a long way. 94% of marketers indicate a desire to increase sales as one of the top goals behind their marketing strategy, whereas 88% label brand awareness as their top goal. Either way, the direct aim is to get a larger audience interested in learning more about your brand. The best way to achieve this is through expanding your reach online and establishing yourself as a thought leader. There are a number of ways to achieve this through creating high-quality content with the above tools, but the most direct way is through social media and communication. Submit questions you have about a specific topic you’re considering writing about and see what people say about it. Monitor Quora for any questions you are well-versed in, so you can step into the conversation and provide a response. Share your own content (as well as that from others) in topic-specific boards. Respond directly to anyone that specifically asks about your brand or services. Creating content is usually about starting a conversation with your audience and Quora gives you the ability to do just that, in a variety of ways. Connecting with influencers is one of the most important tasks for marketers. That’s why the Chrome extension Discover.ly is such a powerful tool. It takes a look at your Gmail contacts and shows their social media profiles, even AngelList and Crunchbase profiles, as well as their updates. Additionally, this tool can allow you to find mutual connections on channels like Facebook, LinkedIn, and Twitter. In short, Discover.ly should be used to make connections with influential individuals in your industry with ease. Once that happens, you can begin to build communities where you can share your latest published content with the right people. With a batch of well-crafted and strategically planned content in hand, the next step is to manage and share that content with your targeted audience. According to Kapost, 95% of B2B marketers claim that the process of managing content is one of their top challenges. It doesn’t have to though. There are many tools out there that make posting, sharing, and tracking content easy. 73% of top-performing marketers stated they have all their content stored in a centralized location. The key piece to note here is they are top performers. By utilizing a system that stores all assets in one place, these marketers have a well-organized system where all of their content (and all versions of that content) are readily available to any team member who needs to access it. In this day and age where many companies are completely virtual or are utilizing remote freelancers to supplement an in-house team, it’s vital to have a central storage system where all content and communication around that content resides. For businesses that cannot afford a paid project management system but still want to run an efficient operation, Google Drive is the way to go. Microsoft-equivalent documents (standard text documents, spreadsheets, etc.) can be created right inside of Google Drive and a permanent record stored for any and all changes made which makes the capturing of a document’s history easier than ever. As an added bonus, you can have conversations with team members directly inside those documents through tracked changes, comments, and when sending the file over for feedback. All other document types you create can be uploaded, stored, and shared there as well. The optimal place for publishing content is your own website (which makes sense). In order to gain more leads and business, you need people to visit your website: to read about your services, find out more about who you are, and contact you directly with any questions. WordPress is the one of the more popular website platforms for developers and non-technical users alike. It’s easy to get started with pre-designed website templates tailor-made for specific purposes and business types, so you don’t need to be a trained designer or developer in order to build your own website. With less time spent on the creation or maintenance of your website, you now have more time to focus on creating valuable content that can easily be posted via WordPress. There are also many free apps available through WordPress that enhance various parts of your marketing strategy. SEO setup, analytics tracking, social media button add-ons, and much more can be added quickly and with little fuss to the front and back-end of your website, giving your brand an extra boost. For businesses or marketers who don’t have a website or want an extra platform to share presentation-style collateral, Slideshare is a great tool to have under your belt. Owned by LinkedIn, Slideshare is easy to use and gives marketers the ability to quickly upload content, add the necessary metadata needed to enhance SEO (and Slideshare will tell you how good it is), and then publish to your followers. Because of the presentation-style layout, PowerPoints, Prezis, and PDF documents are all ideal formats to share on this platform. For easy sharing of content, your website and Slideshare account are essential tools for keeping it all in one location—and in a place where you can keep track of how many people are viewing your content, clicking on it, and interacting with it. But what about social media? When it comes to making a process more efficient, automation is the way to go, especially if you want to cut down on the amount of time and money spent on it. Manage three of your social media profiles from one platform. Monitor social media for specific keywords (including your company name) so you can stay on top of what is being said about what matters to you most. Schedule your social media posts ahead of time. There are always added features with the paid versions on these types of platforms, but the free one is a good place to start for start-ups and smaller businesses looking to manage their own social media more easily. Social media is a very powerful tool for marketing; however, it can be quite time-consuming if the right tools are not set in place to automate the process of managing it. For those mathematically inclined, IFTTT (If This, Then That) is a popular program that allows marketers to create formulas, or “recipes”, that dictate what sorts of actions happen after a first step is initiated. Using Feedly as an example, an IFTTT would enhance this tool by becoming a sort of exporter for the data results. Since Feedly has no easy way to export the saved articles in your feed, a recipe could trigger a “save” on Feedly to export certain pieces of information (article information, url link, content title, etc.) to a Google document; in turn, saving you the time manually copying and pasting the data you need when sharing multiple posts on social media. Consider IFTTT the tool to enhance the features of all the other tools in your marketing arsenal. Your content is created, you’ve published it to your website, and it has been promoted across your social media platforms. Now what? In any business process, the final step should always be the review and analysis of the results. This has never been more important than with content marketing. The entire purpose of creating content and marketing it is to draw in leads and impress current customers. While it would be wonderful to publish a piece of content and let it do its thing, marketing isn’t that simple. A lot of strategy and finagling is involved to make sure content and messaging are best positioned for the biggest impact and ROI. Luckily, there are a plethora of tools to help with this. There isn’t enough that can be said about the power of analytics. Numbers don’t lie. In fact, numbers paint a very detailed picture of your marketing efforts that you wouldn’t otherwise be able to put together on your own. If you have a website, you have probably already heard of and use Google Analytics. It is the king of all kings when it comes to website analytics. Want to know how many people visited your website last week? GA’s got it. Want to know how many of those people lived in the U.S.? GA’s got that, too. Want to know how many of those people were referred to your website by social media? Yep, GA’s got that one, too. When it comes to finding out who your audience is, how they’re interacting with your website, and who is sending them in the first place, Google Analytics is the tool for you. There is one thing for certain: Google understands content really well and, if you understand how to use their tools, they can tell you how your content (and brand) are faring. As for their Webmaster tool, this focuses specifically on your website. The main focus here is on the XML Sitemap. This is the information from your site that tells the search engine what pages you have and where to find them. If there are pages missing from your sitemap, Google cannot see your page and it won’t show up in search results (which is a must if you want anyone to ever find it). Google Webmaster also gives marketers some insight into keywords most commonly used to find your website, other websites that regularly link back to your pages, as well as any errors detected—all of which affect your SEO. There are a number of apps available within WordPress that help marketers set up their websites with SEO settings needed to increase search engine rank. That being said, most of those tools only cover a small portion of the SEO settings you’d want to apply to each page. The most popular ones you’ll see are the title tag, meta description, and keywords. There is a lot more to SEO than that though. SEO Site Checkup provides you with a full rundown of your website’s SEO score. It covers everything from the basics covered in WordPress apps to <h1> headings, social media activity, backlinks, page loading speed, and more. 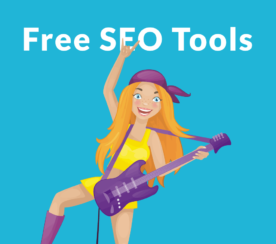 If you want a thorough SEO review without having to hire a consultant, this is the tool you need. In marketing, any tool that gives you insight into what works for your direct competition is a must. You’re not using this information so you can be just like your competitor; you’re using this information to gain insight into what your shared audience is interested in. BuzzSumo gives marketers the ability to search by keyword or by domain name to see how certain search terms perform on social media. The keyword search demonstrates what the top pieces of content containing that keyword are doing on social in terms of shares (which is a strong indicator of enough interest to spread the word about someone’s brand or product). The domain name search demonstrates how that specific brand’s top content is performing on social media; though, for anyone searching by a specific domain, it’s more important to notice the trend in the top performing topics of these links rather than on the number of shares. Topsy is a similar tool to BuzzSumo, though the focus is more on the top posts and influencers on Twitter than on what content is being shared across the major social media platforms the most. The platform you choose (if you only want to go with one) will depend on what your preferences are and where you are the most active. As a content marketer, you’re used to simultaneously working on a variety of projects and balancing numerous responsibilities all while trying to keep up with the latest trends in marketing and SEO. Sometimes that can be difficult, especially when you’re a one-man show or the scope of your marketing needs far exceed the team you have on hand. The goal of creating content for your brand is to show potential customers what value you bring to their lives (or their business) without breaking the bank or your back. Whether you’ve got the time and money to manage it all on your own, these tools were developed specifically so that you could do your job better, faster, and easier. Why not give them a try?